Every now and then, an iPhone will freeze up and become unresponsive due to a software glitch. It can be a buggy app that somehow interferes with iOS or a software update that somehow didn't install properly. Whatever the cause, it's safe to say that no iPhone is immune to this problem, not even the new iPhone X.
Fortunately, iOS is an extremely stable platform, and minor software issues can often be solved by simply powering down. 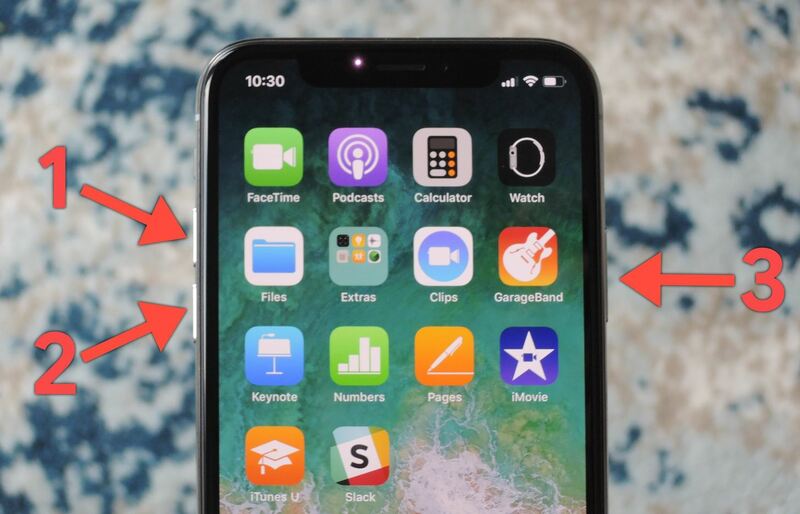 Since a long-press on the Side button will activate Siri on the iPhone X, the process for turning the device off is different than other iPhone models. In order to get the "slide to power off" option, you either have to go through the Settings app to access the "Shut Down" button or press the Side button and either Volume Up or Down together. In that rare event where an iPhone X freezes up, however, a force restart — more commonly known as a hard reboot — will be needed to get it back to a responsive state. With the tried and true home button missing from Apple's exclusive flagship, the process has also changed for force restarting. To perform a hard reboot on the iPhone X, press and quickly release the Volume Up button, then do the same for the Volume Down button. Follow up by pressing the Side button, and hold until the display suddenly shuts off — about 10 seconds. Keep holding the Side button and release when the device turns back onto its Apple boot screen. This is the same process the iPhone 8 and 8 Plus use to force-restart, too. The iPhone X should boot up as normal, will all valuable data still intact. From there, you could further troubleshoot to find out the root of the problem. While problems that necessitate force restarts hardly arise and is more often associated with jailbroken iPhones, it's still a handy tool to have in case of emergencies — especially with a newly-released iPhone. I was not aware that rocking the up and down volume buttons was a thing. Panic had just set in after my brand new iPhone X was stuck on the black screen with the spinning wheel thing. But your trick fixed it! I am very thankful.